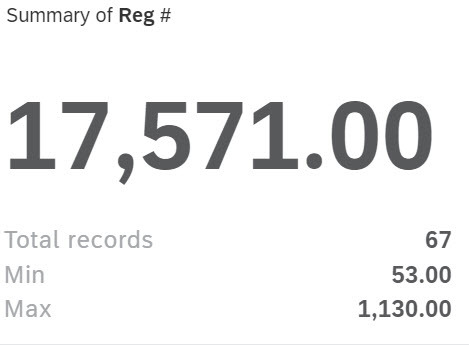 Last year the ASUG BI Community had 67 webcasts with over 17K registrants. While the number of webcasts is lower than 2017, the number of registrants is up by 5K. One webcast had 53 registered while our top webcast had 1,130 registered. The distribution is shown above; it looks like many webcasts fall in the 100-200 registered range. App Design provided a different view from Smart Discovery as I could select different measures/groups.